ANURAG MALLICK and PRIYA GANAPATHY find meaning by the riverfront in one of India’s holiest and longest continuously inhabited city. In the maze of ghats (embankments) and galis (streets) where ruminating cows impetuously halt traffic, the stench of stale flowers mingles with the smell of sweat and sweets, pilgrims lather themselves vigorously on the banks beside boats advertising Navratan tel or Rahat rooh, while others unmindful of the slurry bottle away the muddy Gangajal like elixir. To some, the organized chaos of Varanasi may seem too much to bear, but the soul of the city resides not in its temples and shrines but in the river that silently passes by. 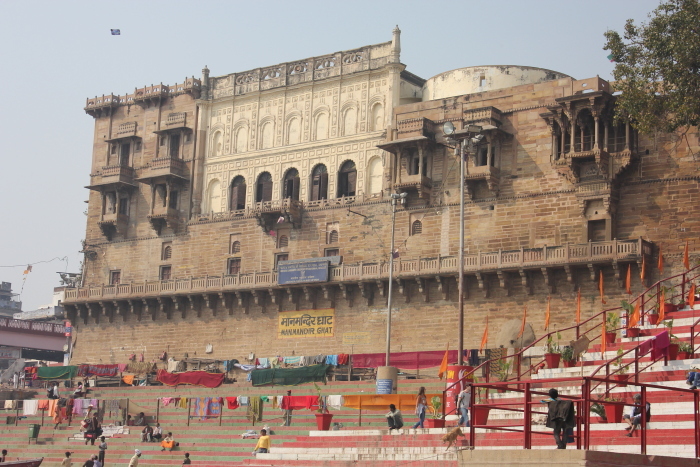 Continuously inhabited for thousands of years with a history paralleled only by Jericho, Varanasi is a city like no other. Sacred to Shiva-Parvati, Kashi or the City of Light is one of the saptapuris or seven holy cities that grant moksha or salvation (besides Ayodhya, Mathura, Haridwar, Kanchi, Ujjain and Dwarka). People come here to die, to live, to lose themselves in the sea of humanity and to find themselves in its quiet anonymity. Kashi Vishwanath is one of the twelve jyotirlingas in India while Vishalakshi Temple stands on the spot where Goddess Sati’s earrings fell. Varanasi’s strategic location on the Gangetic plain at the crossroads of north India’s busiest road made it the centre of an important trade route from Mauryan times. Sher Shah Suri further improved the Badshahi Sadak or Sadak-E-Azam (Grand Trunk Road) from Bengal to Peshawar. Varanasi became a marketplace for shawls from the north, diamonds and gold from the Deccan, muslin and silk from the east, armaments from Lucknow, food grains from across India and perfumes, horses and elephants. Caravanserais and dharamsalas proliferated and the incessant crush of people led to the constant rebuilding and reshaping of this unique riverine habitat. Various rulers paved the ghats with stones and built temples and palaces for pilgrims. 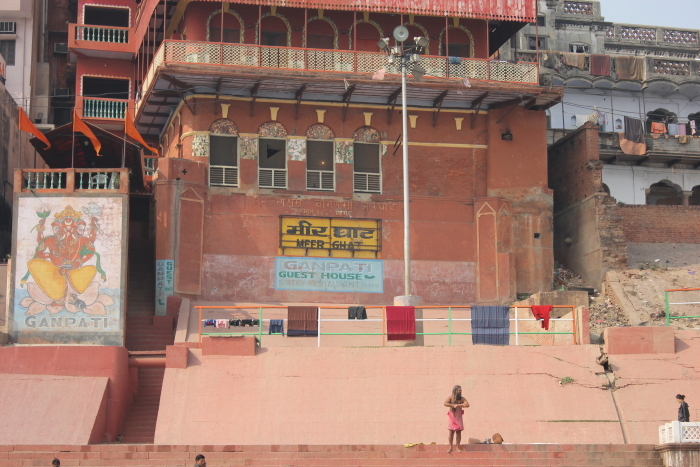 Having a presence in Benares was the religious equivalent of having a corner office at Nariman Point. It provided recognition of one’s political and social importance. 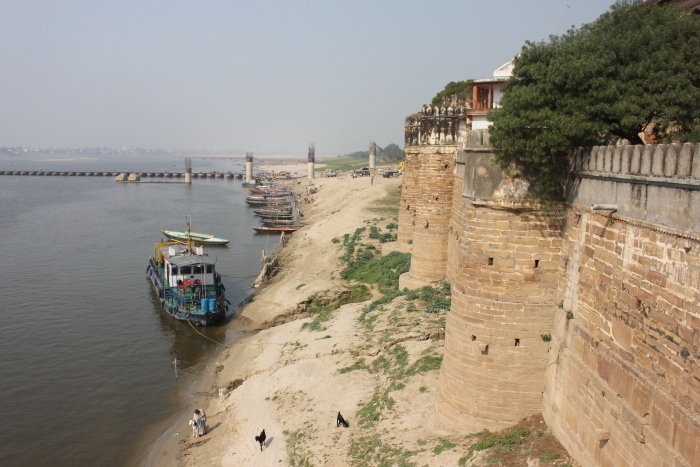 From Raja of Gwalior, Bhonsale, Scindia and Ahalyabai to the Maharajas of Darbhanga and Nepal, the ghats even bore the stamp of faraway Rajput kings like Maharana Pratap of Chittor (Rana Mahal Ghat) and Raja Man Singh (Manmandir Ghat) of Amer. Sawai Jai Singh built the rooftop observatory of Jantar Mantar while Raja Balwant Singh erected a red sandstone fort at Ramnagar, the bastion of the kings of Kashi. Just 2km from Shastri ji’s statue and ancestral house stands the Sumeru Devi temple at Purana Pokhra with the loftiest spire in Varanasi, rich with carved figures supporting an impressive roof. In the rains the Ganga floods its banks and spills on to the ghats, shifting stone blocks and causing structures to collapse. 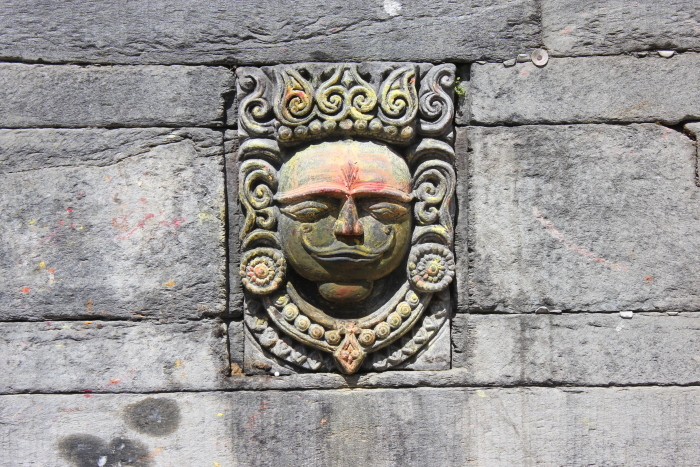 ‘That’s not because of the river’, Dipu pointed at the lop-sided temple. 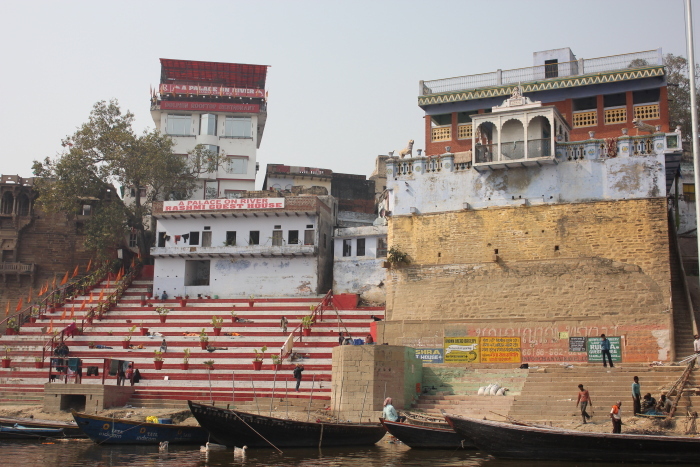 ‘That’s Kashi Karwat, made to tilt by a woman’s scorn whose son wanted to return the favour of his mother’s milk.’ While the river was the domain of the boatmen, the ghats were a shared heritage for priests, pilgrims, mendicants, hoteliers, wrestlers, washermen and an endless stream of visitors. 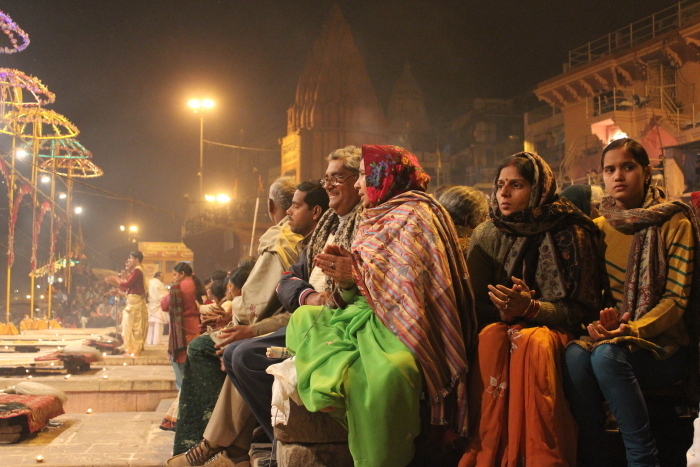 While many consider Varanasi to be the epicentre of the Hindu universe, it hides within its many layers other influences. It was a few kilometers northeast at Sarnath that Lord Buddha preached his first sermon. 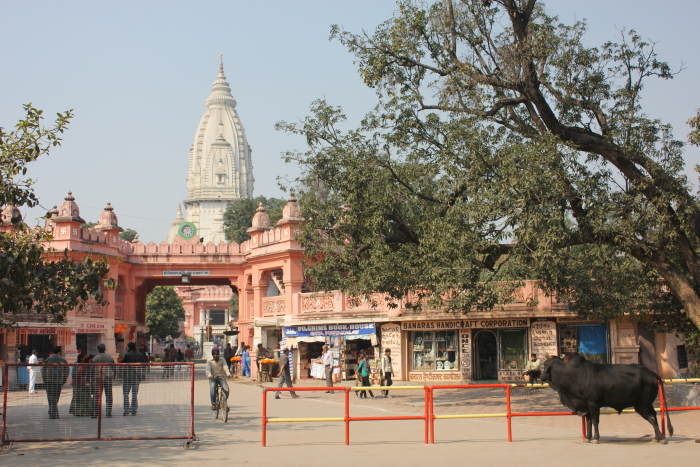 The Digambar Jain Temple at Singhpuri marks the birthplace of the 11th Jain tirthankar Shreyansanath while Parshvanatha, the 23rd tirthankar was also born in Varanasi at Bhelupur. Gurdwara Guru Ka Bagh commemorates Guru Nanak’s visit on Shivaratri in February 1507. St Thomas Church at Girijaghar crossing in Godowlia is one of the many symbols of Christian colonial rule. For a city that occupies such a central position in Hindu culture, it is ironic that Varanasi’s oldest religious monuments in active worship are mosques. No Hindu shrine predates the reign of Aurangzeb, who razed spectacular temples like Vishwanatha and Bindu Madhava in 1669, replacing them with the Gyanvapi and Dharhara or Alamgiri mosques. From the Delhi Sultanate to later Mughal rule, Islam has been around for nearly 800 years, with a succession of rulers choosing sites and forts around the city as their headquarters – Sasaram, Jaunpur, Allahabad, Faizabad, Lucknow, Chunar and Rohtas. A survey in 1827 by James Prinsep noted 333 mosques and 1,000 temples in Varanasi. His series of drawings of Benares in 1833 is seminal. Besides local specialties like peda, banarasi pan, banarsi sari and the carpets of Mirzapur and Bhadohi, the people also took pride in their local heroes. India’s PM Lal Bahadur Shastri, legendary for his simplicity, once swam across the Ganga as he was short of 2 annas to give the boatman. Pandit Madan Mohan Malviya set up Banaras Hindu University, Asia’s largest educational campus. From Kabir to Ravidas, some of the greatest Indian writers lived and found inspiration in this city. Renowned Indian surgeon Sushruta, author of Sushruta Samhita lived in Varanasi, which remains a centre for Ayurveda and yoga. Adi Shankara wrote his commentaries on Hinduism here while Tulsidas wrote much of his Ram Charit Manas on the banks of the Ganga. Munshi Ghat was named after Hindi writer Munshi Premchand, a native of Benares whose ancestral house lies in Lamhi village on Azamgarh Road. Novelist, poet and playwright Bharatendu Harishchandra was conferred his famous title in 1880 at Kashi. ‘This was the spot where Bismillah Khan used to sit and play the shehnai,’ an old gentleman indicated with his wobbly chin. ‘Soooo… many music maestros’ chipped in a guy reading a newspaper. ‘Ravi Shankar (sitar), Gopal Mishra (sarangi), Pandit Chhannulal Mishra (singer), Kishan maharaj (tabla)…’ Pandit Ram Sahai (1780–1826) developed the Benares tabla gharana two centuries ago. After learning tabla from his father at the age of five, he became a disciple of Modhu Khan of the Lucknow gharana. When Wazir Ali Khan, the new Nawab of Oudh, asked if the 17-year-old lad could perform a recital for him, Modhu Khan agreed, but on the condition that Ram Sahai would not be interrupted till he finished playing. Ram Sahai played for seven consecutive nights. Shortly after this performance, he returned to Benares, went into seclusion for 6 months and laid down the tenets of a new gharana by adapting the Banaras baj (tabla playing) as per the style of gayaki (singing). 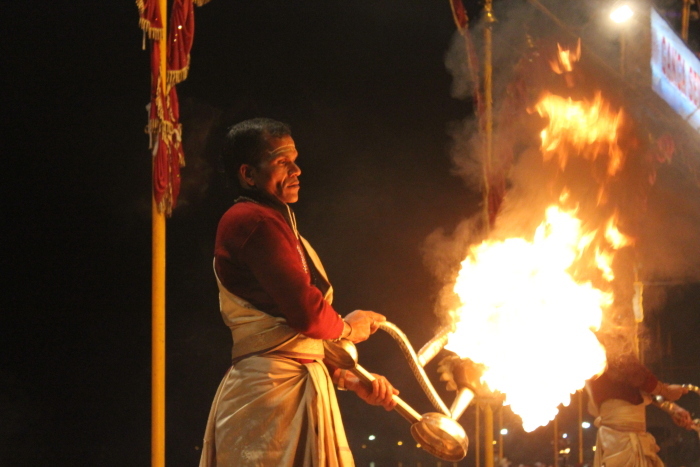 ‘There’s no better time to immerse yourself in Varanasi than the famous Ramleela at Ramnagar’, said Pandit Ravi Shankar Pandey, priest at the Vyas Temple inside Ramnagar Fort. Kashi Naresh Maharaja Udit Narayan Singh started the tradition of staging the episodic play across various locations of the city in mid-19th century. ‘The first act is the birth of Ravana followed by Bhagwan janam at dawn. Then there’s Taraka, Ahalya, Phulwari, Dhanush yagya, Vivah, Vidai, Kevat, Valmiki ashram, Chitrakoot, Bharat Milaap, Panchvati…’ Pandey ji’s voice trailed off. ‘Come for a month,’ he said quite seriously. Resting on the mystical trident of Shiva and bracketed between the rivers Varuna and Asi, Varanasi lies on a curve of the Ganga between Rajghat in the north and Assi Ghat to the south. The 2.5 mile (4 km) distance between these two confluences is littered with temples and Hindu pilgrims do the Pancha-kroshi Yatra, a 5-mile round trip journey ending with a ritual visit to the Sakshi Vinayak Temple. However the city also occupies an important position for Jains, Budddhists and Muslims. Every evening around dusk the Dashashwamedh Ghat resonates with the sound of conch shells, bells and bhajans. Priests in silken clothes ceremonially offer dhoop (incense), arti (lamps) and pankha (fan) to Mother Ganga, before gently lulling her to sleep. 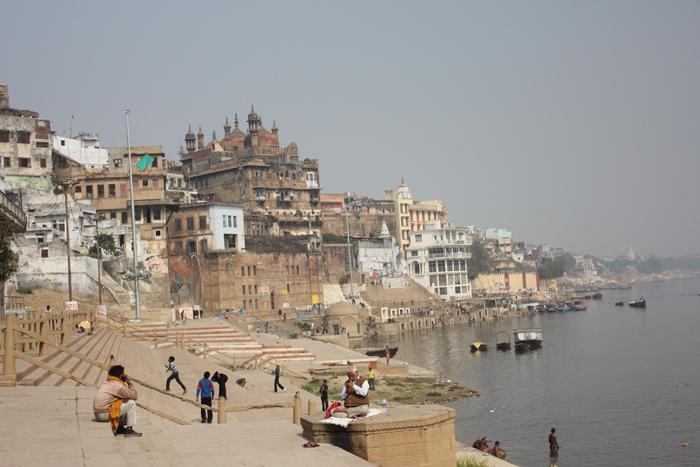 Go early to grab a vantage point on the steps of the ghats closer to the action for the 7pm spectacle. 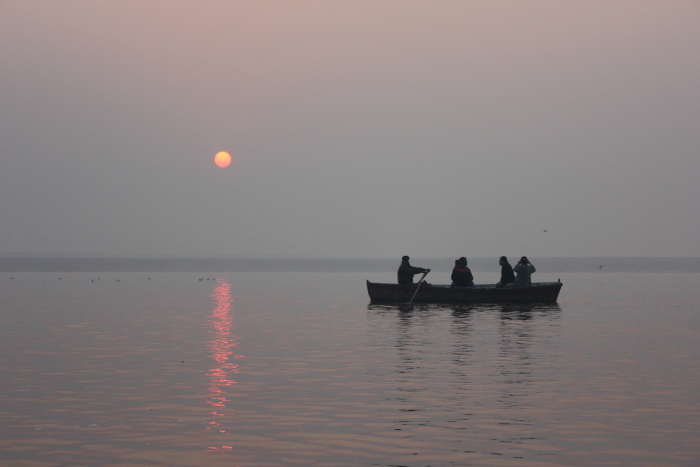 Experience life and death on the Ganga with a sunrise or sunset tour of the ghats with Varanasi’s greatest storytellers. Prices may vary (approx Rs.150-200/hr) depending on the boat, the boatman, the duration and overall experience, excluding tips. You can bargain for a better rate for a full tour of the ghats for Rs.400-500. Just 13km away at Sarnath is the Deer Park where Lord Buddha had preached his first sermon. The old names Mrigdava, Sringpur and Sarangnath (from which Sarnath is derived) allude to the deer (mrig, sringa, sarang). Mulagandhakuti Vihara, where Lord Buddha spent his first monsoon, has murals by Japanese artist Kosetsu Nosu. 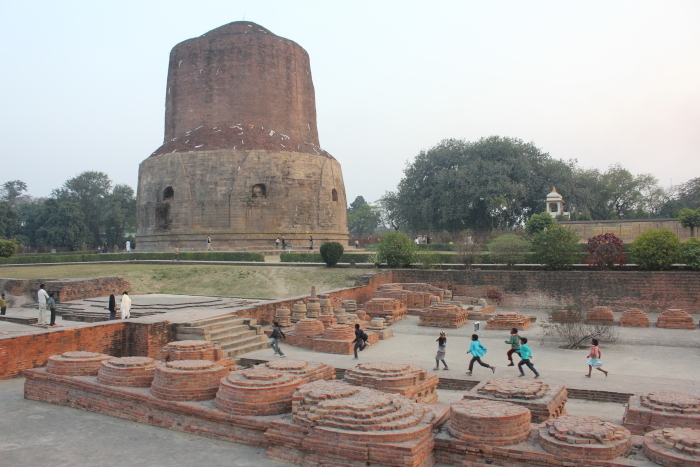 The massive Dhamek Stupa and remaining brick foundations of monasteries date back to Ashokan and Gupta periods. The severed Lion Capital of the Ashokan pillar, the inspiration behind India’s national emblem, was damaged in Turko-Islamic invasions and is housed in Sarnath Museum. 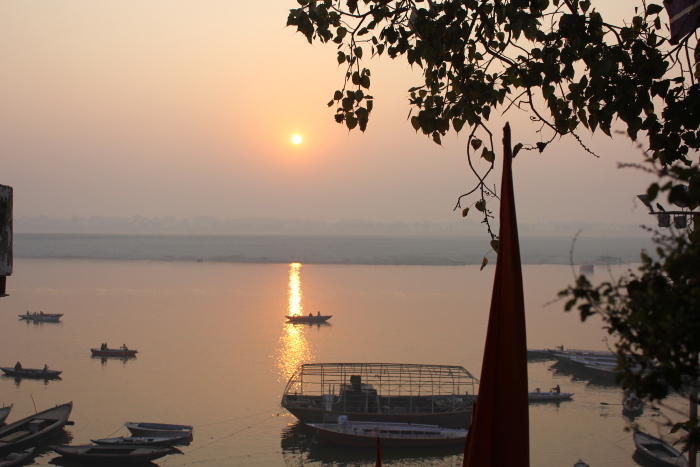 November to March is the best season to visit Varanasi. 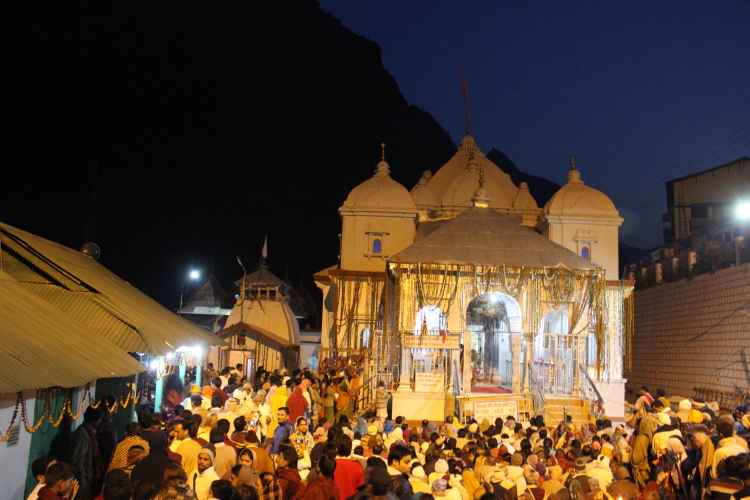 The month-long Ram Lila at Ramnagar during Dussehra (Oct-Nov) is a great time to visit. All night, open music concerts are also organised at Sankat Mochan and other temples during festivities like Holi, Kajari and Chaiti Mela. By Air: Nearest Airport: Lal Bahadur Shastri International Airport located at Babatpur, 21 km from Varanasi Cant Station. By Rail: Varanasi Junction or Varanasi Cantt Railway Station is one of the busiest and highest revenue generating stations in India, serviced by over 240 trains a day. The Dufferin Bridge constructed over the Ganges from Kashi station links Varanasi to Mughalsarai (16km), a major railway station of the East Central Railway. By Road: Varanasi lies at the junction of many important highways. GT Road (NH-2) extends from Kolkata to Allahabad, Kanpur, Aligarh, Delhi and Agra. NH 56 connects Varanasi to Lucknow via Jaunpur while NH 29 connects it to Gorakhpur via Ghazipur. NH 7 the longest National Highway in India links it to Jabalpur, Nagpur, Hyderabad, Bangalore, Salem, Madurai and Kanyakumari. There are four road access points to the riverside from Rajghat, Dashashwamedh, Harishchandra and Assi Ghats. Autos and rickshaws are better suited for Varanasi’s narrow streets though people often prefer to take a boat from Rajghat to reach various points on the ghats. Varanasi’s street food goes beyond aloo-poori, papdi chaat, chhole-samosa, kachoris and veg thalis to rooftop, riverside and tiny cafes serving exotic fare. Try Japanese and Thai at I:ba, Tibetan and Nepali dishes at El Parador and Lotus Lounge on Mansarowar Ghat and Middle East and Israeli cuisine at Yafah. Bakeries like Bread of Life at Shivala Ghat, Brown Bread Bakery at Tripura Bhairavi, Pumpernickel German bakery and Mona Lisa Café are great hangouts. Wash it down with some ‘Siwon’ lassi (Korean for cold). Don’t miss the famous lal peda at Rajbandhu on Kachori Gali and Sankat Mochan. 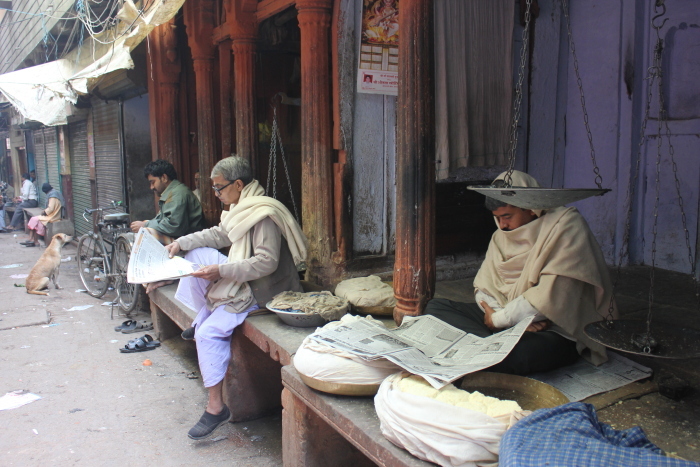 Numerous shops on Chowkhamba lane sell papads, pickles and gajak (a dry sweet made of sesame seeds). A 200-year-old riverfront Yadava haveli at Guleria Ghat, Jukaso Ganges has been painstakingly renovated by WelcomHeritage into a boutique luxury hotel. 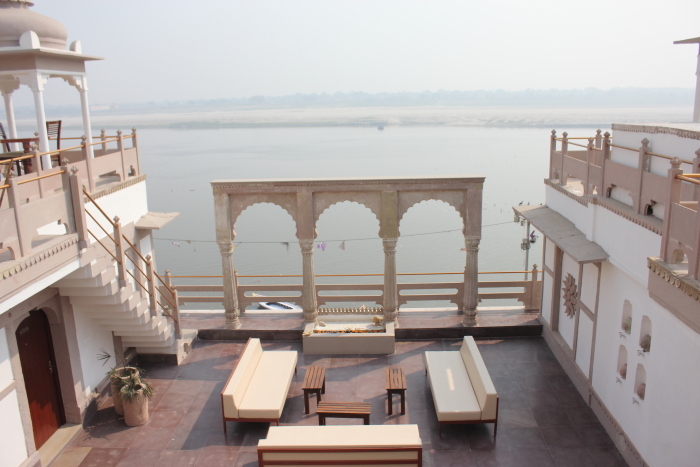 Built out of creamy Chunar sandstone, most of the 15 immaculate designed rooms open to a view of the Ganga with a riverside café and a terrace restaurant. The 800-year-old Vishnu idol in the meditation room is stunning. Overlooking the Shivala Ghat, Suryauday Haveli was built by the royal family of Nepal in early 20th century as a retreat for the old. 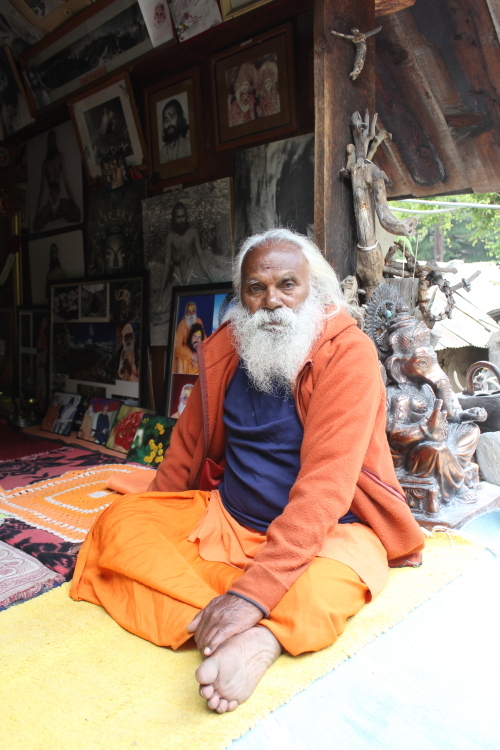 The hotel has no menu with food prepared by a maharaj (traditional Hindu cook). Besides a master suite, there are 8 river facing rooms and 5 en-suites with yoga classes organized on the terrace. 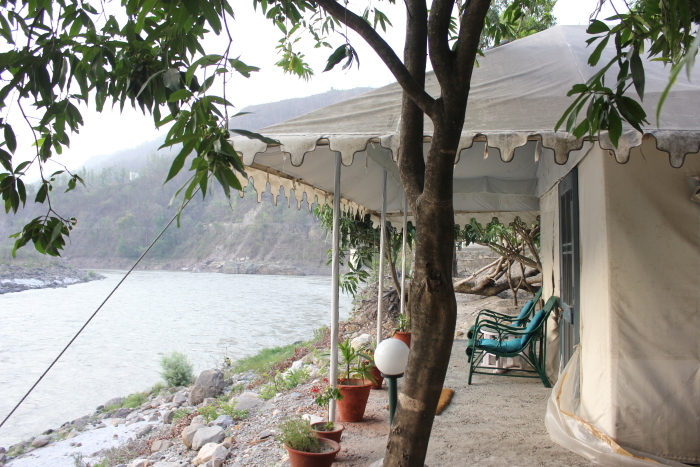 With 16 air-conditioned rooms offering a partial view of the river, the riverside hotel is adjacent Man Singh’s Observatory. Free wi-fi and its central location make it a popular haunt with nice food served at the rooftop Dolphin restaurant. One of the oldest and most well known hotels in Varanasi, Clarks offers 104 well-furnished rooms, including 19 executive rooms and 2 suites with an outdoor swimming pool in a serene garden. Authors: Anurag Mallick & Priya Ganapathy. This article appeared in the Jan-Mar 2013 issue of Time Out Explorer magazine. ‘Sinking Area, Shooting Stones, Sliding Zone.’ The signboards whizzing past seemed more apt for a war zone rather than the road to India’s holiest river. We were in a shared jeep on a bone-jangling drive from Uttarkashi to Gangotri in the Garhwal Himalayas. After rumbling down the narrow bridge at Bhaironghati over a jaw-dropping gorge, our driver pulled over and shook his head helplessly. 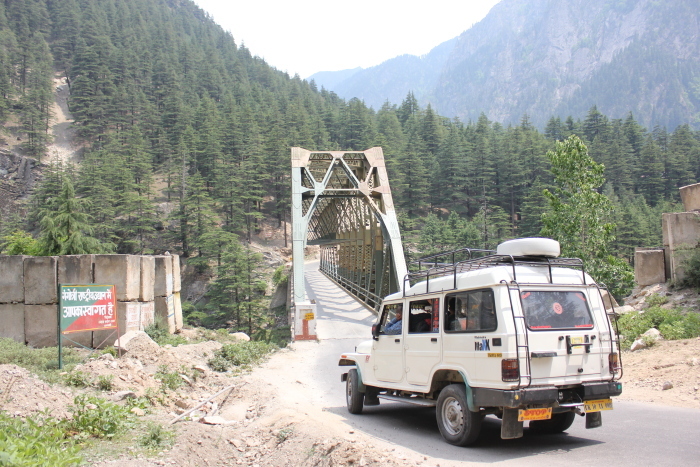 An overturned army truck in the middle of the road set the tone for the trip ahead… Forced to alight 8km short of our destination, we set off on foot, knowing that there would be no vehicles beyond Gangotri anyway. The walk was a perfect warm up. Besides, the 1km long line of stranded vehicles on the other side of the truck left us with little choice. It was a dusty meandering path between craggy hills and a sheer drop. After a 2-hour trudge, we reached Gangotri by evening, only to discover cops on walkie-talkies still trying to arrange a crane to remove the truck. We had been warned at Uttarkashi to stock up dry fruits, dates and provisions, as ‘there was nothing available at Gangotri’. Humbug. Gangotri was a long row of hotels and shops overflowing with everything from walnuts and pistachios to biscuits and munchies in every flavour, besides every form of religious paraphernalia. Isha Vasyam Ashram, located on the other side of the river was our first choice to stay. Sadly, it was booked to capacity as Swami Chidanand Saraswati of Parmarth Niketan Ashram was visiting from Rishikesh with his entourage. 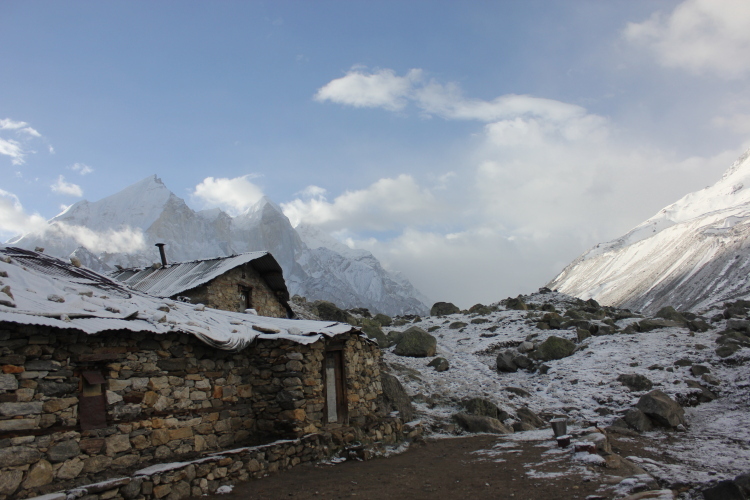 So we checked into Purohit, a tidy little lodge overlooking the bathing ghat with the mighty Sudarshan, Bhagirathi and other snowcapped peaks in the distance. Down by the ghats, the machinery of faith was in full swing. A mass of shivering pilgrims of all ages taking a holy dip in the freezing waters, groups performing sacred ceremonies to pray for the salvation of departed souls, people filling cans and kamandalas (pots) with holy water, some patiently getting the lids sealed with wax and customers briskly buying an assortment of religious items at the stalls. A pilgrim from Rajasthan observed wryly, “Mano toh Ganga maiyya, nahin toh behta paani” (To those with faith it’s Mother Ganga, or else just flowing water). 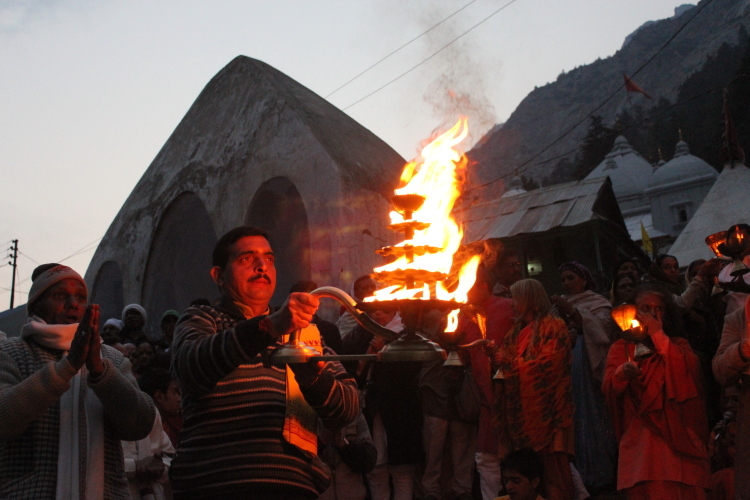 At sundown, it was time for the magical Ganga arti, a daily lamp-lit homage to the sacred river. We were fortunate to witness it, in the presence of Swami Chidanand Saraswati, whose mission is to protect the Ganga. Soulful music and sacred chants filled the air as people waved oil lamps to honour and celebrate the river deity. After the ceremony we were invited to learn more about Ganga Action Parivar over dinner at Isha Vasyam. Since Swamiji’s birthday coincided with World Environment Day, he chose to emphasize the need for conservation through a tree-planting campaign, river-cleaning drive and distribution of cloth bags to cut down plastic. 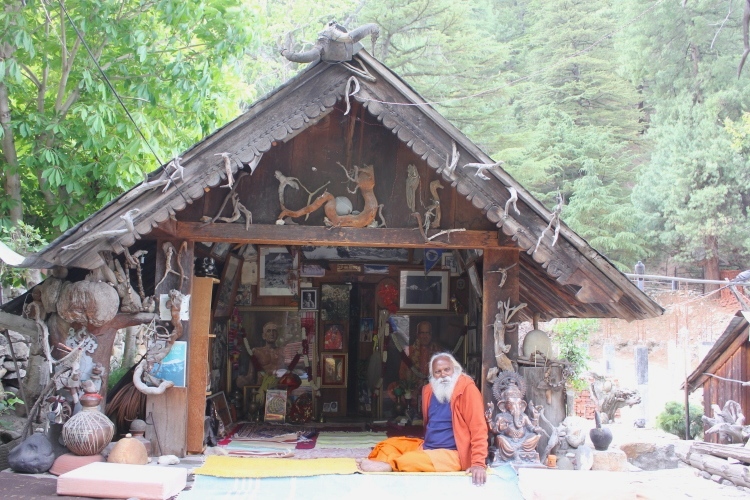 At the Gangotri temple, priest Semwal ji outlined Ganga’s fascinating story. Sage Bhagirathi wished to bring the Ganga from the heavens to wash the ashes of his 60,000 ancestors, thereby providing them salvation. Jahnu rishi was responsible for building a canal for Ganga to flow through. The celestial elephant Airavat cleaved the mountains to channel a path. 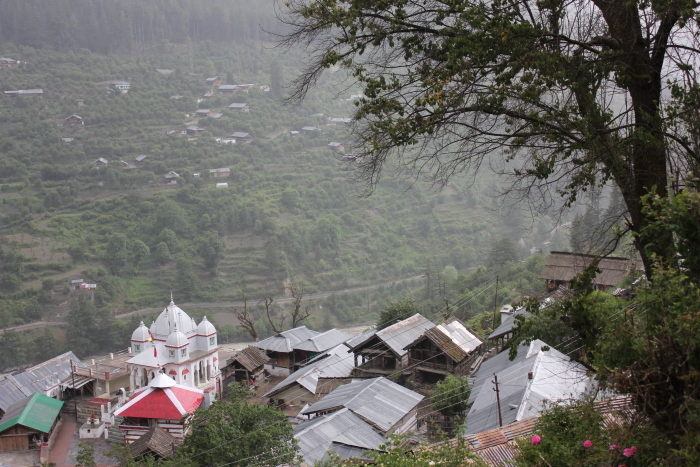 But during her tumultuous descent, Sage Jahnu’s ashram at Jangla was washed away. In anger, he swallowed Ganga. 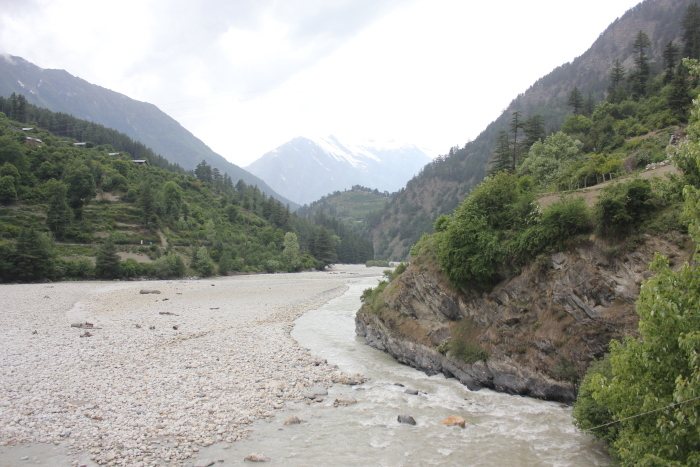 It was at Pachchiyari (literally ‘look behind’) that Bhagirathi turned around to notice that Ganga had disappeared. 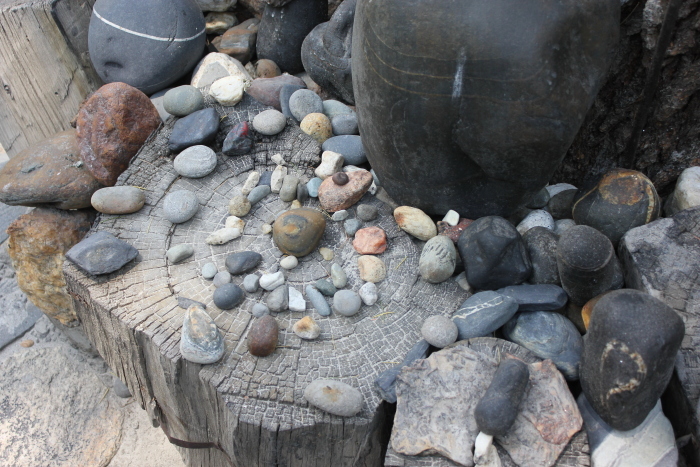 When he begged Sage Jahnu for forgiveness, he relented and released the Ganga from his right ear. Thus Ganga is known by different names in her course. As she emerges from Brahma’s kamandala in the heavens, she is Sursari; when she tumbles down Shiva’s matted locks, she is Jatashankari; as she lands on earth she is Bhagirathi and after emerging through Jahnu, she is Jahnavi. 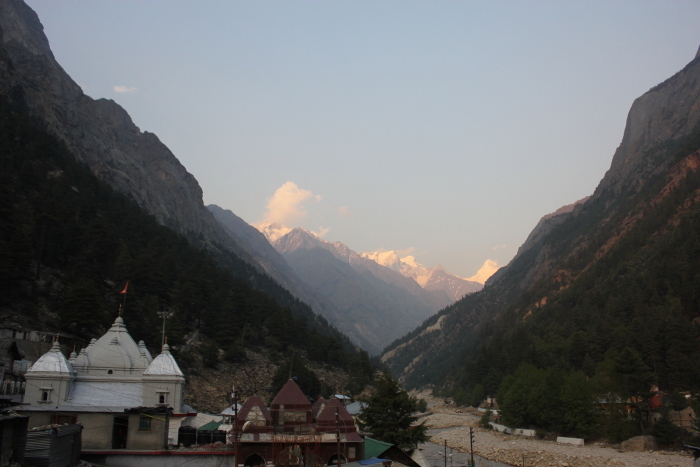 Hence, the place where Ganga descended came to be known as Gangotri. “Ganga jahan utri, wohi Gangotri”, said the priest. Incidentally, Gauri Kund marks the site where Shiva took Ganga into his matted locks to tame her forceful descent. The path continued to Pandava Gufa (cave) and their yagna bhoomi (place of penance). It is believed that after the Mahabharata war, the Pandavas came here to perform a sacred yagna in repentance of the bloodshed they had caused. They took a dip in the Hatyaharini and ascended to Kedarnath via the treacherous Bhrigupanth. Colloquially, ‘Going to Bhrigupanth’ is a metaphor for heading towards sure death or taking an impossible path. The next day, we had charted our own hazardous path. 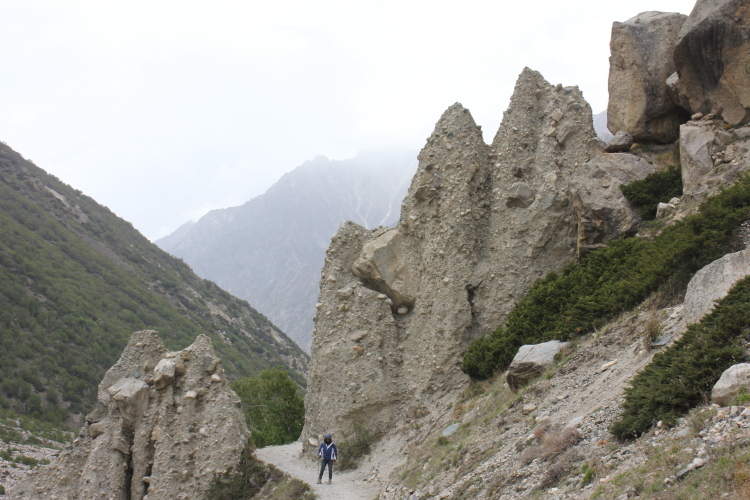 Our Tapovan trek got off on a shaky start. The fickle Himalayan weather had changed drastically. The previous day had been bright and sunny but when we woke up at 5.30am, it was gloomy and shrouded in dense mist. By 6 it had began to drizzle. Our guide Janakshahi, a young Nepali lad asked us warily if we wanted to go, as things could get worse at higher altitude. After monitoring the weather over breakfast and endless cups of black tea, we armed ourselves with cheap raincoats and set off at 8:30am. 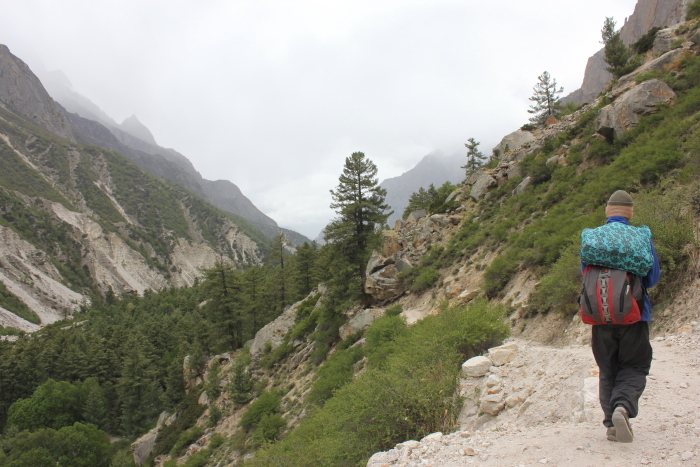 The 9km trek from Gangotri to Chirbasa was a steady ascent tracing the course of the river. Dark jagged mountains swooped up to the left like giants peering over our heads. At the forest check post in Kankhu, 2km from Gangotri, we showed our permit (procured from the Forest Department office at Gangotri jeep stand). Although the Gangotri National Park (GNP) was created in 1989, the region witnessed hordes of tourists travelling on foot or mules on a daily basis, littering and polluting the place beyond recognition. Very recently, steps to protect this ecologically fragile zone were strictly enforced. Spread over 2,39,002.4 hectares at 3250 m, GNP is India’s third largest park with only 150 visitors allowed per day. 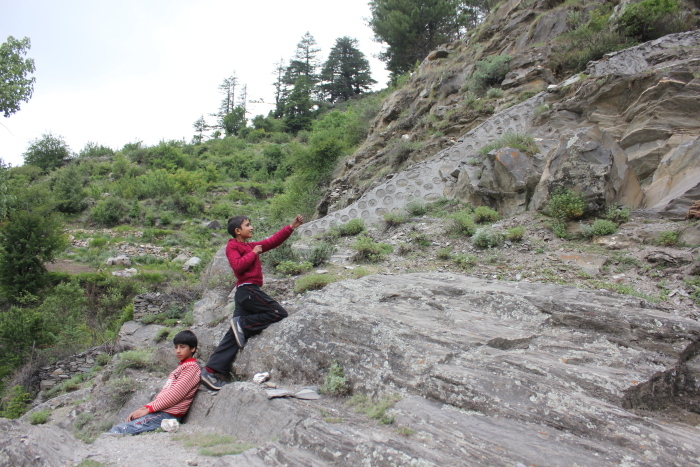 In the woods of Chirbasa, we drew in lungfuls of fresh pine-scented air as we padded along. Some sections of the 5km stretch to Bhojbasa were tricky and prone to landslide. 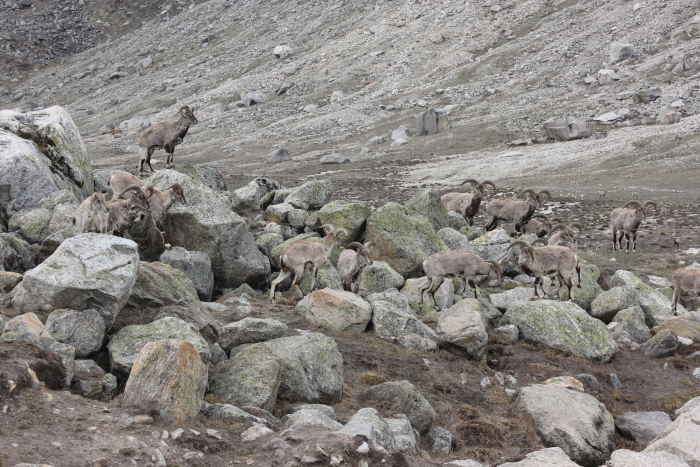 As we negotiated the undulating path and crossed a few crystal clear streams on makeshift log bridges, we came upon a big herd of Bharal (blue sheep) on a mountain slope. Their proximity made us whip out our cameras and click away, before continuing ahead. After turning a curve, the path got narrower and we were halfway up a barefaced rocky slope with a sharp drop, when we heard a mild clatter of stones. 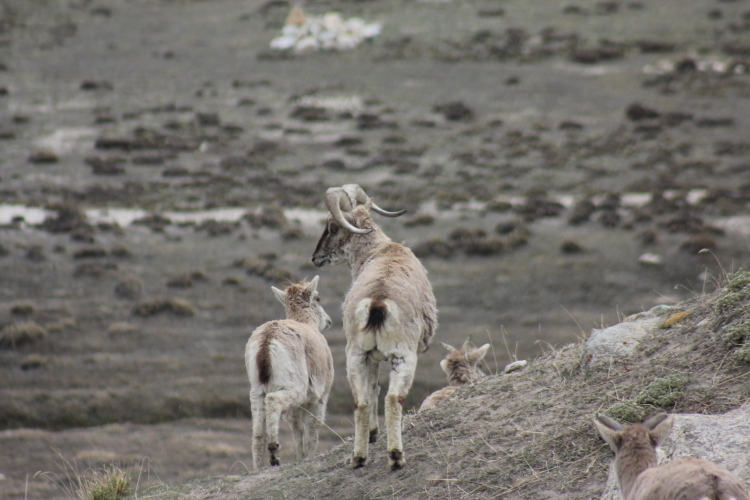 Nearly 250 ft above, a herd of grazing Bharal had dislodged a volley of stones that were crashing down at us. “Run!” yelled Janak. Unable to look away from the rolling stones and simultaneously fearing how one faulty step could send us over the edge, we made a wild dash for cover. But things got out of control. Escape was only a miracle. With no place to run or hide, an accident seemed inevitable yet the overhang yards away held a possibility. So we bolted ahead on shaking legs, skidding over loose shale. A heart-stopping moment later, it hit…but just grazed the ankle support of a sturdy Size 7 Quechua shoe before plummeting into the abyss below. We were breathing raggedly but could only shake our heads in disbelief. 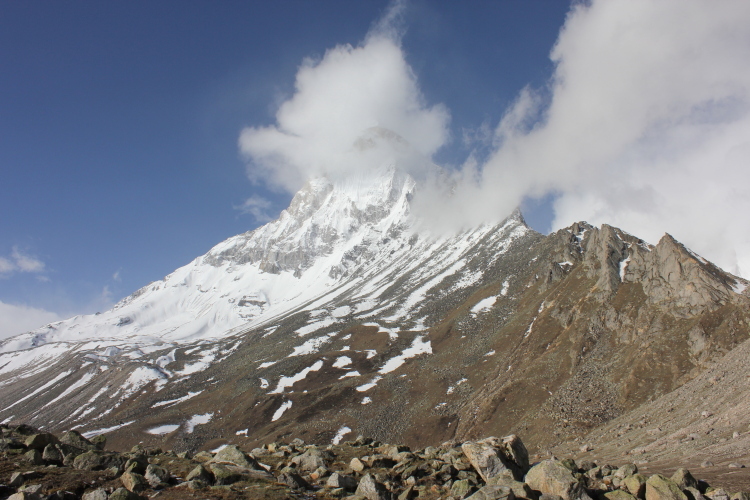 The remaining trudge to the campsite of Bhojbasa was tackled with greater caution. We opted for the quieter Ram Baba Ashram instead of the popular Lal Baba Ashram. In these camps a snug bed and hot meals came at Rs.300 per head. Our clothes were soaked and we spent the evening by the kitchen fire. At twilight, the sky cleared briefly and the snowy peaks of Bhagirathi I, II and III were illumined by some divine light. We devoured the food hungrily, embarrassed to ask for more but Gopi a local guide egged us on, “Don’t worry. 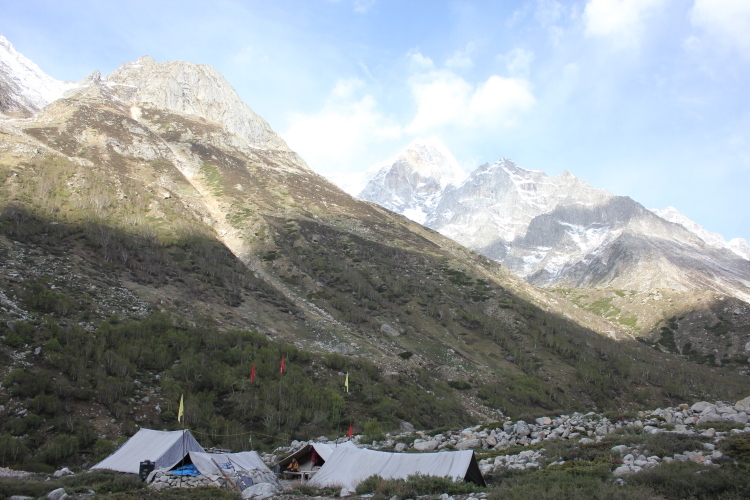 Ration sarkari hai, par pet private hai.” The morning was bright and we were off for the 4km hike to Gaumukh, named after the cow-faced mouth of the glacier from where Ganga emerged. 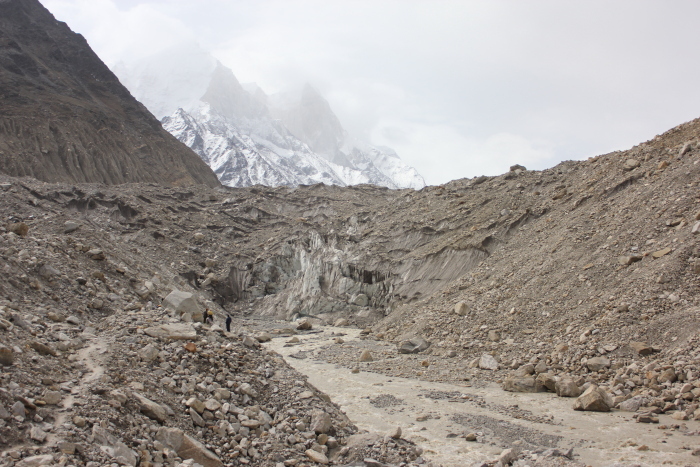 Some say, the mouth of the glacier was originally near Gangotri but had receded by 18km over the years! At a small Ganga shrine near the riverbank, Nirmal Baba (not the TV godman) blessed visitors. Looking around furtively, a Bengali trekker scowled ‘Gleshiyarrr kothai?’ (Where’s the glacier?) His guide laughed and pointed at the endless grayish brown mass far ahead. The Bengali mumbled incoherently, as if he had just been gypped. While most tourists return from Gaumukh, we continued 5km to the high altitude meadow of Tapovan. The path was barely discernible – just a massive rubble of stone wedged in muddy ice. 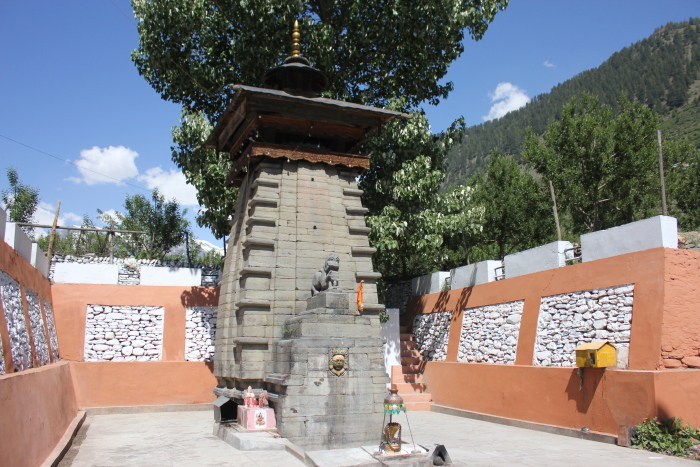 Small chortens (piles of stones) flagged off the general route. As we climbed higher, the sun was harsh and the incessant sound of snowmelt was broken only by the occasional rumble and crash of ice chunks falling into the river. 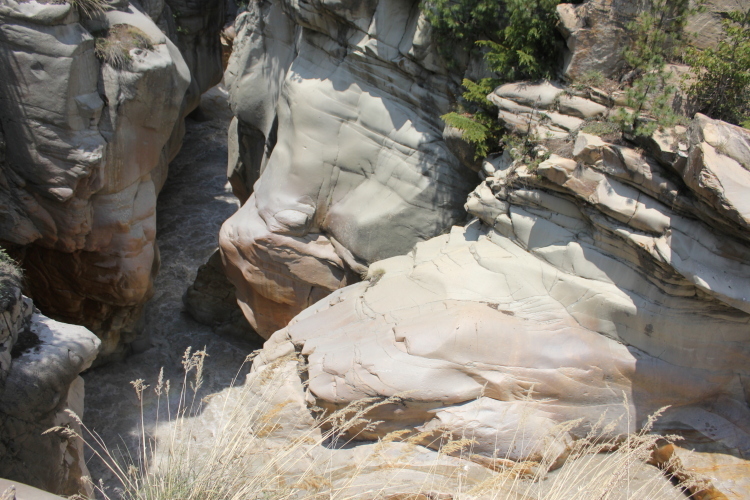 Often we seemed surrounded by crevasses, chasms and fractures. Janak’s constant chant ‘Yahan bahut danger hai’ goaded us to move swiftly. 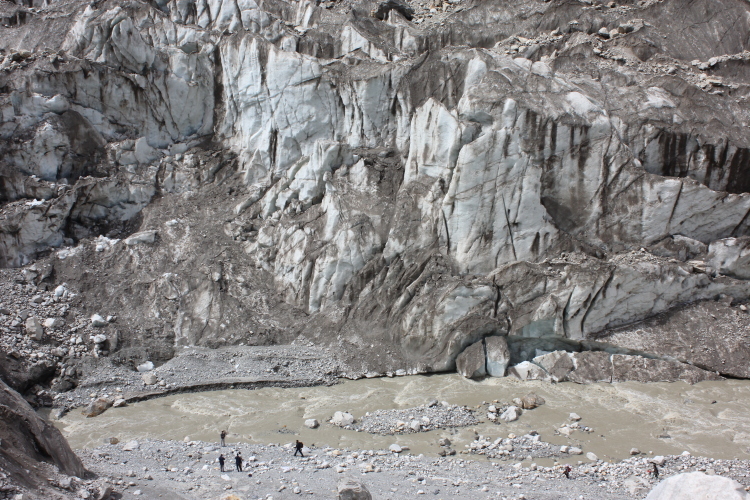 If the 2½ km glacier walk was tricky, the final 1½ km ascent was a true test of endurance – a near vertical incline with the Amar Ganga stream rushing down the rock face. Our breaths were heavy, but our feet were light as we were afraid of dislodging any loose rock that could accidentally trigger a stonefall. About halfway up, we faced the challenge of fording the stream and lumbered on, before hauling ourselves over the lip of the mountain. 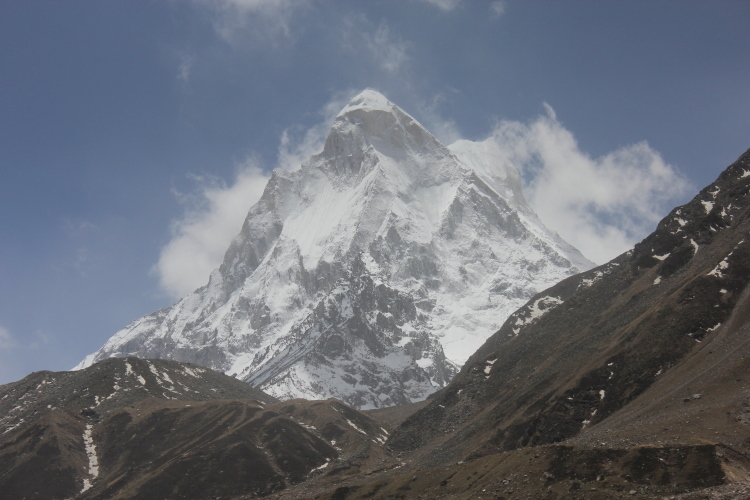 The vision ahead was sublime – Shivling loomed up at 21,750 ft like a gigantic cone of ice. A short trudge along the murmuring Amar Ganga and we reached Mauni Baba’s Ashram. Though sworn to silence, he never refused anyone who knocked at his door for refuge or food – including the blue sheep that flocked in the evenings for salt. Curious visitors would barrage him with questions – ‘What is your real name? Where are you from? How old are you? Why are you silent?’ And he would patiently scribble answers, shake his head, laugh and gesture crazy replies. Warmed up with tea, hot chocolate and his divine food, we were cajoled into a round of devotional singing, before we crawled into bed. The night was biting cold. When stepped outside in the morning – the landscape was awash in white as tiny snowflakes fell in fairytale fashion to the wet earth. The night’s storm had made the young dreadlocked mystic switch from saffron and white robes to blue thermals. Donning glares and a hat someone had gifted him, Mauni Baba seemed more like the frontman of a reggae band instead of an ascetic. He insisted that we eat breakfast before leaving. When we bade goodbye, the weather was clear. Like stages in a video game we tackled the tricky descent, glacier crossing, stone hopping, landslide zone, bridges and trekked 23km straight from Tapovan to Gangotri in one day. The trip would have been incomplete without a visit to Mukhwa, the winter seat of Gangotri, where the idol of Ganga shifts after Diwali. Leisure Hotel’s luxurious Char Dham Camp at Dharali, with riverside tents in an apple grove set in an amphitheatre of hills, was the perfect base. Swami Narasimh Tirth at the Kalp Kedar temple nearby made us unlearn everything we knew. Frederick E. Wilson or Pahadi Wilson was an adventurer who deserted the British army after the 1857 Sepoy Mutiny. He came to Garhwal and on being denied sanctuary by the Maharaja of Tehri, Wilson fled to Harsil and married Gulabi, a local girl. He built a fortune and gained notoriety for smuggling fur, musk and timber. After chopping forests of deodar, he would cleverly float the logs down the Ganga. He even supplied wood to the British government to make railway sleepers from Rishikesh to Calcutta! To strengthen his local standing, Wilson married again – at Mukhwa and Dharali and constructed large wood houses for his extended family. 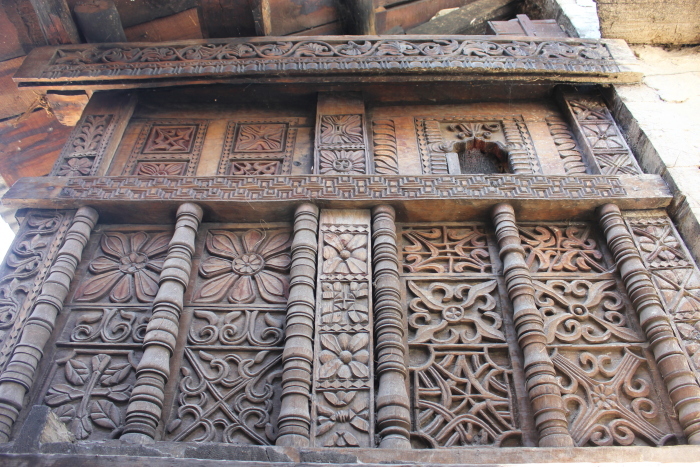 At Dharali, the 300-year-old Panwar House of Wilson’s wife Ruda Godavari has an old Bhagavathy temple with woodcarvings by Himachali artists. After forcibly marrying her, Wilson took her to the British cantonment in Harsil but left soon after on an errand. He returned after a month to find Godavari had run back to her parent’s home. Wilson came on horseback to take her by force but Godavari hid in the Bhagavathy temple. Rumour has it when Wilson barged into the sanctum with his boots on to drag her out, he received a shock, went mad and was carried away, never to return. Sadly, Ruda Godavari was ostracized for her alliance with a foreigner and stayed alone in a cubbyhole below the house.